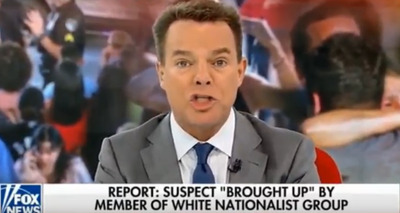 Fox NewsFox News anchor Shepard Smith. Fox News anchor Shepard Smith had some choice words following the Parkland high school shooting. Smith railed against the lack of progress in preventing mass shootings. The Parkland shooting killed at least 17 people and is the 18th gun-related incident at or near a US school this year. Like many news anchors following the tragic school shooting in Parkland, Florida, Fox News anchor Shepard Smith appeared to be frustrated by a perceived lack of action in preventing mass shootings. At least 17 people have died after the shooting at Marjory Stoneman Douglas High School, the 18th gun-related incident at or near a US school this year. Authorities have charged 19-year-old Nikolas Cruz, a former student of the high school, with the shooting. Cruz was reportedly armed with an AR-15 style rifle and several magazines. 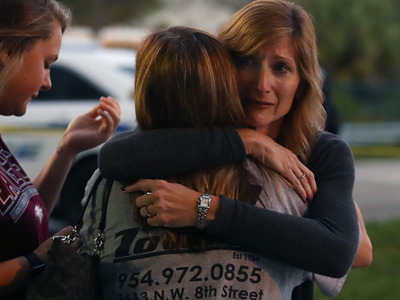 Mark Wilson/Getty ImagesFamilies grieve after the Parkland shooting. Smith appeared to make a call for change by reminding viewers of past US achievements.